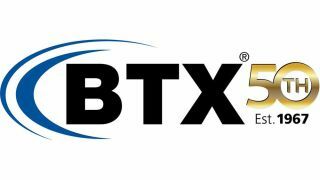 BTX Technologies (Booth C9806) has enhanced its Pro Plates and Panel Designer platform to include over 80 new connector symbols including Lemo SMPTE hybrid fiber connectors and the recently released Belden RevConnect connectivity solution for Cat-5e, Cat-6, and Cat-6A UTP and STP. BTX’s Pro Plates and Panel software configuration and ordering application is designed to allow any user—from administrators to engineers—to begin designing and ordering products within a matter of minutes. Users drag a wall plate or rack panel from BTX’s extensive product library to start designing and configuring. Connector options appear in a menu, including popular connectors from manufacturers such as Neutrik, Switchcraft, Belden, and LEMO, in addition to BTX’s own patented connectors. Users then drag and drop their choices to the desired spot on the plate or panel; optional engraving may also be added if desired. Once customers have completed configuring and designing, they can request quotes or order via the software. Most orders will be delivered within three to five days.